Another of our quality CNC parts. 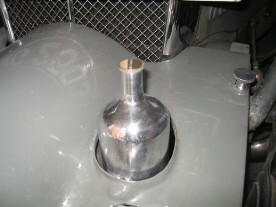 These securing knobs are used for models C, J3, J4, K and generally any other models for cars which have been modified to take a blower cowl including P Types. 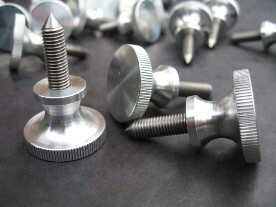 The 5/16 BSF threaded stud section may however, require shortening depending upon your cowl arrangement. This part is coincidentally also used as the rocker cover securing knob which we also manufacture to go with the rocker cover securing brackets.